With the recent report of fresh cilantro possibly being the source of cyclospora in some cases in Texas and Wisconsin, grocery chain, Kroger has recalled the cilantro in select states across the country. Kroger says in their recall notice: This product may be contaminated with Cyclospora cayetanensis and, if eaten, could result in severe illness to those who may consume this product. The affects stores in the following areas: Greater Memphis area, Tennessee; Arkansas; Mississippi; Western Kentucky; North Carolina; Virginia; Eastern West Virginia; Eastern Kentucky; Southeastern Ohio, Texas and Louisiana. To date, 220 cyclosporiasis cases have been reported from Texas (212) and Wisconsin (8). 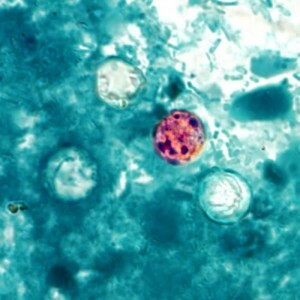 Past outbreaks have been associated with cilantro from the Puebla area of Mexico. While the investigation into the current outbreak is ongoing, imported cilantro has been identified as a possible source of some infections. The U.S. Food and Drug Administration recently issued an import alert detaining cilantro from that area coming into the U.S.